Promotional Biscuits and Cakes offer another way to get your brand out there and our tasty items are guaranteed to be popular. With Magellan World you can choose from a wide range of Promotional Biscuits & Cakes, Promotional Chocolate, Branded Fruit and Nuts, Branded Mints and Promotional Sweets, the perfect way to endorse your company. Sesame Cookies are a great healthy snack, and a great promotional item. 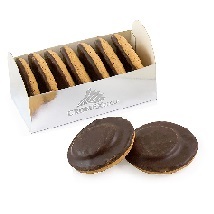 Our Printed Biscuits are a delicious way to impress your clients. 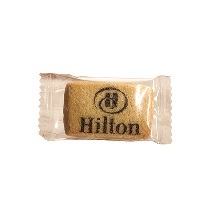 Impress your clients with a personalised packet for Biscuits. 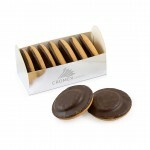 WE are currently offering 10% off our range of Promotional Biscuits and Cakes. Magellans endless pursuit of the best prices for branded Biscuits and Cakes in the UK, make us confident that you will not get a better product at a better price. From your initial enquiry through to receiving your professionally branded Biscuits and Cakes. The Magellan team have over 20 years of expertise within the merchandise industry. We can guide you through each stage of your order and can recommend the right branded Cakes and Biscuits for your event or promotion. 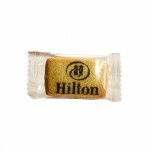 Promotional Printed Biscuit-Single Pack has your logo printed onto the top in chocolate and is supp.. 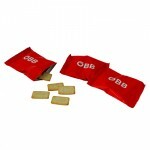 Promotional Printed Biscuit-12 Inside Card Pack has your logo printed onto the top in chocolate and.. 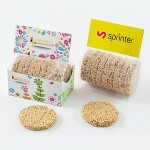 Promotional Breakfast Biscuits, one of each flavour: Wheat, Barley, Rye and Oat, Packaged inside a .. Promotional Sesame Cookies with your logo printed onto the white protective wrapper.Branded Sesame .. 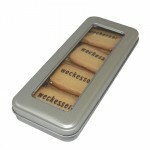 Promotional Printed Biscuit-8 Inside Pencil Tin has your logo printed onto the top in chocolate and.. 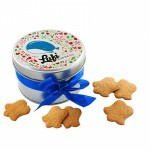 Promotional Spiced Biscuits in a Metal Tin, aromatic spiced cookies in an elegant metal tin. M.. 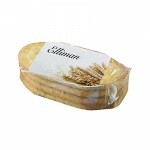 Promotional Four Breakfast Biscuits, one of each flavour: Wheat, Barley, Rye and Oat, Packaged insi.. 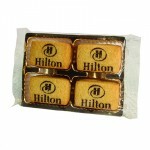 Promotional Small Flow Pack of Savoury Biscuits contains 6 embossed biscuits with your logo inside .. 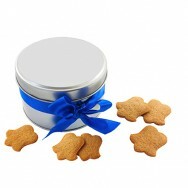 Promotional Biscuits Filled with Jelly, packaged inside a card box.Branded Biscuits, Custom Biscuit.. 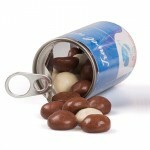 Promotional Mini Cookies inside a branded container with a pull ring top, flavours available: Milk,.. Elegant Black Box Contains: Monty Bojangles Scumple Nutty Truffles 100g, Cocoa Bean Milk &..